what a delightful story. 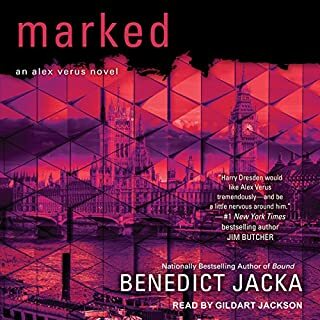 good characters and a good plot & narrator was a great. 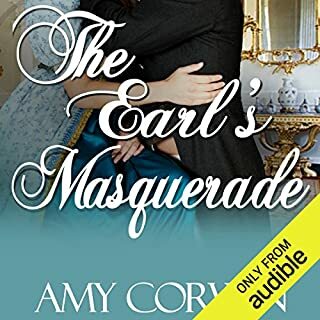 Scarred in a duel over a feckless female, Gavin Lawrence leaves America to take up his new duty as Marquess of Effingham, vowing to never again care for another woman. But lurking in the Marquess' crumbling manor is a young woman in terrible danger. 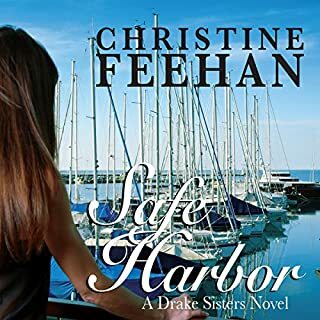 The self-sufficient daughter of a soldier, Dillian Whitnell hides her injured cousin in the secret passages of Arinmede Manor following an attempt on their lives. I have enjoyed Patricia Rice stories. 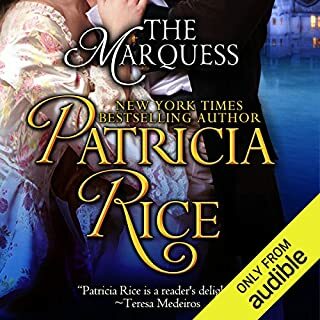 I'm now a firm fan of Patricia Rice romances! But this one read by Jeremy Arthur! Oh, yes, he made this one Especially SPECIAL,! More of his great voice for her great masculine men, please! When Mage Alex Verus ends up with a position on the Light Council, no one is happy, least of all him. But Alex is starting to realize that if he wants to protect his friends, he'll need to become a power player himself. His first order of business is to track down dangerous magical items unleashed into the world by Dark Mages. Loved this like all the others before it. Please, may I get more, soon? Great characters & great fight scenes, a great story, and a great narrator, what's not to like. Fairly hard to start, but stuck with it. Good ending though. Way too dramatic though. The small town of Lachlan, Florida, was rocked last year when two bodies were uncovered in the roots of a fallen tree. Despite their lack of investigative experience, Sara Medlar; her niece, Kate; and Jack Wyatt found themselves at the center of the mystery, working together to reveal the truth behind a decades-old secret in the sleepy town. After a narrow escape, they vowed to never again involve themselves in something so dangerous - until Janet Beeson is murdered. 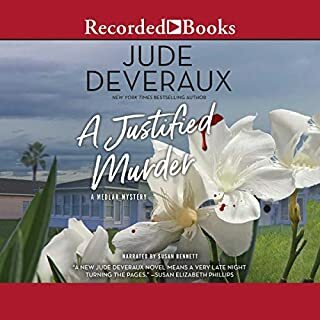 I have enjoyed two books by Jude Deveraux &plan on more. Narrator was spot on! Miss Emily Price is in desperate need of funds. With her family estate mortgaged and her young brother not yet of age, it falls to her to save her family from financial ruin. What is a lady with no title or connections to do? Auction her virginity at one of London's most notorious brothels. had to quit early in this story. worst narrator I've ever heard! story was weak to start & add in a silly sounding narrator & you've got a stinker. 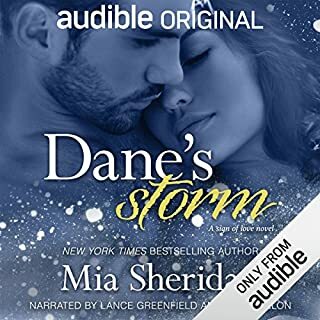 One of seven daughters in a line of extraordinary women, stunning Hannah Drake has been the elusive object of affection for Sheriff Jonas Harrington for as long as he can remember. If only she was driven by a passion other than her career. But Jonas isn't the only one with desires for Hannah. From the shadows has emerged a vengeful figure who stalks the beauty, intending to destroy her. Can her sisters’ special powers keep her from harm, and will Jonas catch the elusive assailant? Christine Feehan at her best!! Tiresome characters making silly decisions. I've enjoyed this series generally, but, these two characters are the silliest of the lot! 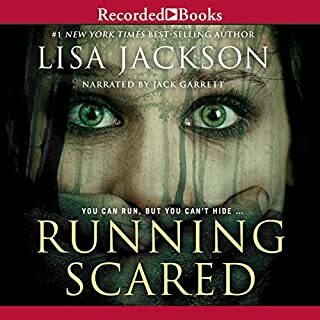 New York Times best-selling author Lisa Jackson gives her fans what they crave—taut suspense melded with blistering romance. Running Scared follows a young single mother desperate to preserve the life she’s built with her son. Fifteen years ago Kate Summers adopted a little boy in secret and fled to a small town in Oregon. Today, she has a wonderful life and believes she has outrun her past. But a mysterious figure is searching for her and threatens to destroy her happiness. Not her usual quality story. Usually books by Lisa Jackson are great, but this one really was not good enough. 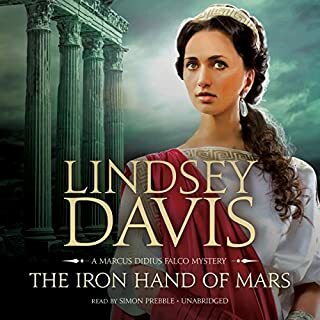 When Germanic troops in the service of the empire begin to rebel,and a Roman general disappears, Emperor Vespasian turns to the one man he can trust: Marcus Didius Falco, a private informer whose rates are low enough that even the stingy Vespasian is willing to pay them. Way better than the dramatized audio book! Simon Prebble is a class act & makes a good story a joy to hear. Good premise & pretty good characters. Good premise & pretty good characters, but, I truly dislike a main character who continues to make really obviously bad decisions. She is being threatened often & decides to drive alone around town when she could have help.